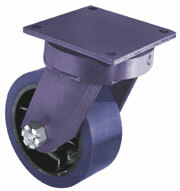 Top Plate Size: 4-1/2" x 6-1/2" x 1/4"
Wheel Sizes Available: 4", 5", 6", and 8"
Weight Capacities: 350 - 1,400 lbs. 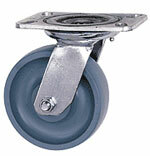 Top Plate Size: 6" x 7" x 1/2"
Wheel Sizes Available: 6", 8", 10", and 12"
Weight Capacities: 840 - 10,000 lbs. 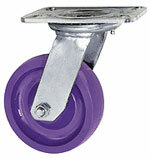 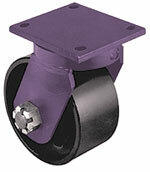 Wheel Sizes Available: 8", 10", 12", 14", 16", 18", and 20"
Weight Capacities: 2,050 - 20,000 lbs.